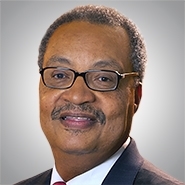 MILWAUKEE, Wis. — The national law firm of Quarles & Brady LLP today announced that Quarles & Brady Chairman Emeritus John Daniels Jr. has been selected to receive the Wisconsin Alumni Association’s (WAA) Distinguished Alumni Award. This is the highest honor bestowed by the WAA. Award recognizes UW-Madison alumni for their professional achievements, societal contributions and support for the university. Daniels, a 1972 graduate of UW-Madison, became the first African-American lawyer in the United States to begin with a firm as an associate and then go on to become chair. Under his leadership, Quarles & Brady grew its national presence significantly, expanding the number of attorneys, adding new office locations and national practice specialties. Daniels is also very active in the Milwaukee community. He has served as the lead lawyer on several signature downtown projects and is also a driving force behind initiatives like The Milwaukee Fellows Program and The Fellowship Open, which help provide scholarships and other resources for inner city youth to go to college and begin careers. Daniels is the former board chair of Aurora Health Care and the Greater Milwaukee Committee. He has also served on many community boards of directors, including the Medical College of Wisconsin and the Boys & Girls Clubs of Greater Milwaukee. The university will recognize Daniels along with other Distinguished Alumni award recipients, at a Chancellor’s event on Thursday, Oct. 27. Founded in 1861 to promote the welfare of the University of Wisconsin and serve the interests of its graduates, the Wisconsin Alumni Association® (WAA) connects, enriches, and serves a growing number of alumni to help facilitate their support of each other and the university. WAA is a division of the Wisconsin Foundation and Alumni Association, a nonprofit organization dedicated to advancing UW–Madison. For more information, please visit www.uwalumni.com.